On October 13th, we had the first full day of our retreat. We started by working together to make breakfast, with CWW Artistic Director Diana Norma Szokolyai serving a veggie omelet along with fresh fruit and toast. We then gathered for our first workshop with CWW Director Rita Banerjee’s workshop on Character Development & the Law of Desire. In this workshop, we discussed how we can create rounder, more dynamic characters. The participants looked at classic character archetypes and compared them to modern archetypes they see in literature. They were then challenged to find a character and write two scenes for them: one where they were alone and the reader could see entirely who they are, and another where that same character is confronted by one of these static archetypes. After that, we took a break for lunch and to do some writing work. 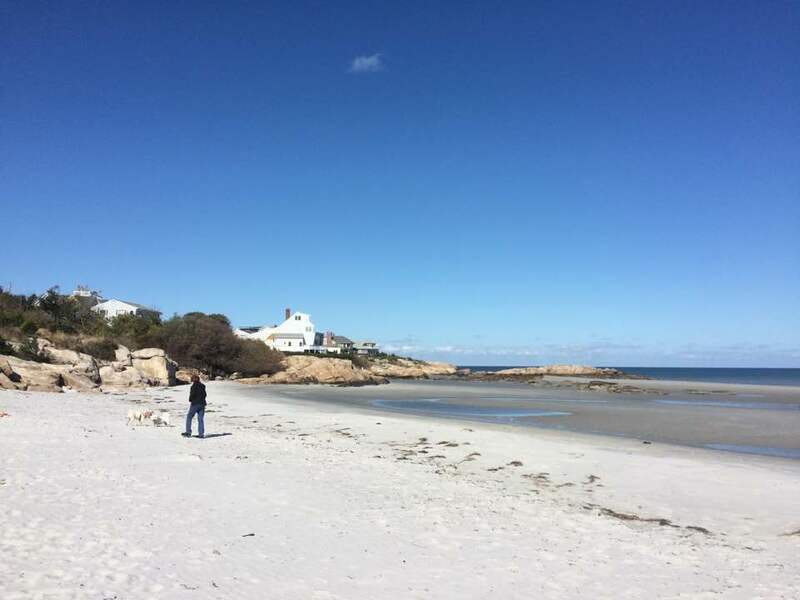 Some of us walked to the nearby Wingaersheek Beach, where the tide was low enough for us to walk far out. There we took in the beauty of the New England coast and observed people playing with their dogs and looked for any interesting shells or rocks we could find on the beach. Once break time ended, we reconvened for our next workshop. Guest faculty member Maya Sonenberg led the first part of her workshop Forbidden Forms: Beyond the Plot Triangle. Here she brought in numerous examples of poems and short stories that played with worm and encouraged us to find ways to play around with plot and action. She even shared some interesting writing exercises that can help the reader break form and discover something new about their work. After that, we all took a walk to a nearby beach. There, we played Literary Taboo. Each of us had to pick a word that was inspired by something we’ve experienced so far on the retreat or something we experienced on our way to and on the beach. Once we knew what our words were, we had to each write a short piece based on it that the other participants had to figure out. The only catch was that we couldn’t use the chosen word at all in the piece. After that, we went to a lovely seafood restaurant, where we enjoyed oysters and other locally-sourced dishes. We used this to share ideas and to think about what we’d do for our Bake Off, and we all got to work. This entry was tagged Cambridge Writers' Workshop, fiction, Massachusetts, Maya Sonenberg, nonfiction, poetry, retreats, Rita Banerjee, Rockport, writing. Bookmark the permalink.